I had no idea anything this close to the Beltway could be so beautifully serene. 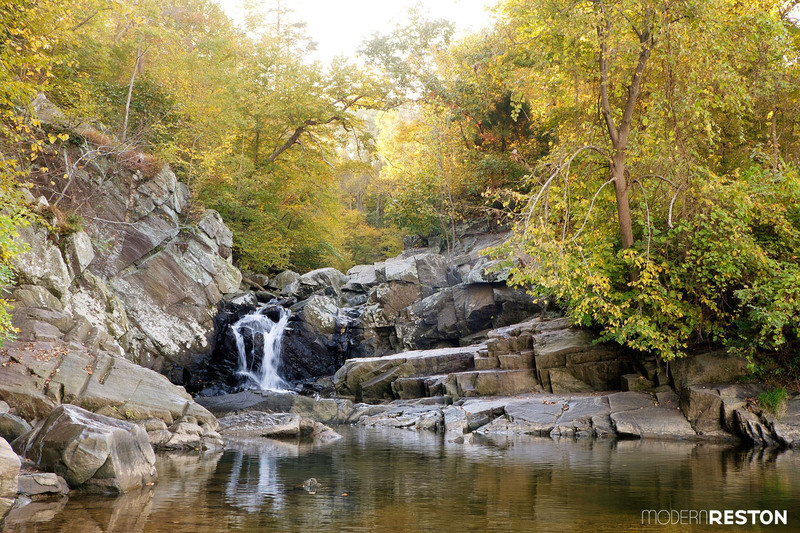 This waterfall along the Potomac River is located at Scott’s Run Nature Preserve in McLean, which is a Fairfax County Park located 25 minutes from Reston Town Center. It’s a gorgeous park, especially as the leaves are changing. The trail is short and (mostly) easy, and absolutely worth an hour or two of your time. 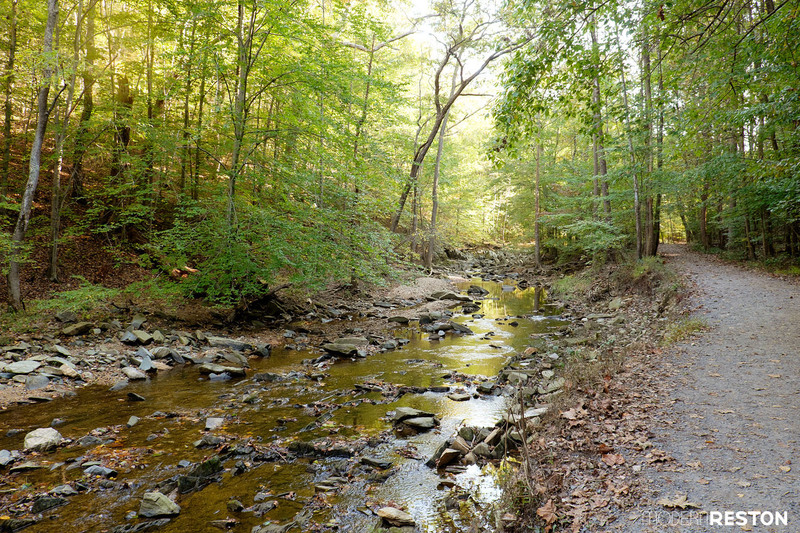 Scott’s Run Nature Preserve is located just off Georgetown Pike near the intersection with I-495. The park has a large network of trails, including the easy path to the waterfall, as well as several more challenging trails along the river’s cliffs. You can find a PDF of the park’s trail map HERE. The parking lot is located in the lower left of the map, next to the stream. If you are looking for the easiest and most direct path to the waterfall, follow the blue trail on the left side of that map. The waterfall is about 1/2 of a mile from the parking lot, right where the path meets the river. This scenic trail follows the stream most of the way. The trail is wide, well-maintained, and flat for the first 0.3 mile of your walk. Then the path curves up a steep hill and then down to the river. I found most of the journey to be stroller-friendly, but decided against taking the stroller on the hill. It was too steep for my comfort level. I’d recommend using a hiking backpack or baby carrier if you are bringing little ones. Some of the most fun parts of the trail are the two stream crossings you’ll encounter on your way to the waterfall. Large step stones make for dry but fun crossings. When you arrive at the river, follow the trail to the left to find the waterfall. 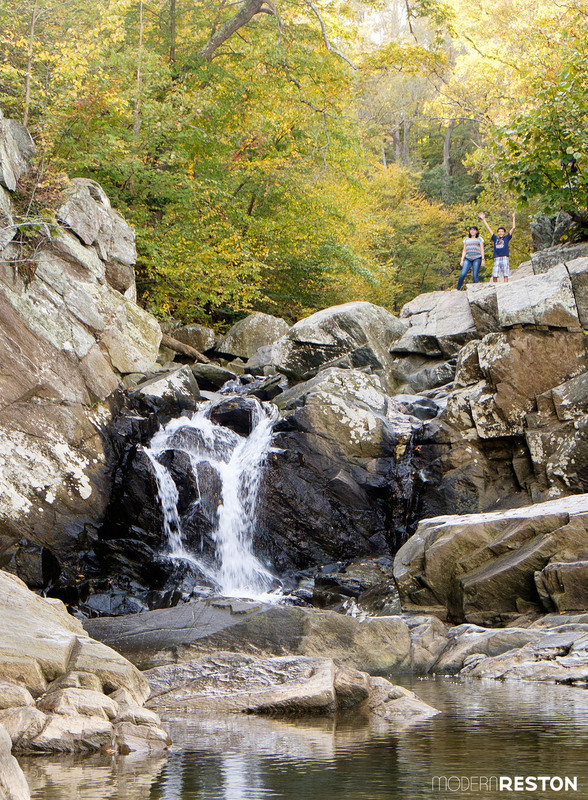 If you’re feeling adventurous, you can do some rock scrambling around the falls. If not, then you can relax at the bottom of the falls and take in the views of the river. To return to your car, turn around and follow the same path back to the parking lot. If you have more time and energy (and reasonable balance), you’ll want to continue onto the other trails in the park. They are more rigorous and offer dramatic river views. 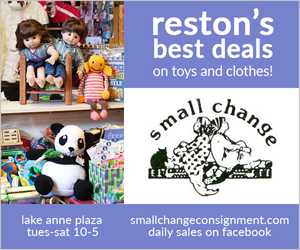 Many of those trails are not appropriate for young children due to their steep cliffs. If you do have young kids, the one-mile roundtrip waterfall journey is a great way to introduce them to the joys of hiking. It’s challenging enough for them to feel a sense of accomplishment, and the waterfall is an exciting reward at the end of the trail. 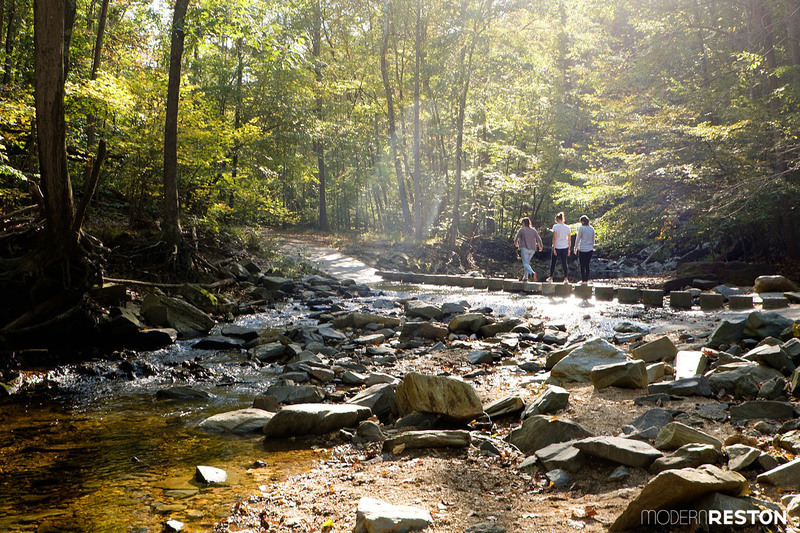 Scott’s Run Nature Preserve is located at 7400 Georgetown Pike, McLean, VA 22102. The park is open from one-half hour before sunrise until one-half hour after sunset, and admission is FREE. What other trails should we cover? Do you know any parks that we should try out?